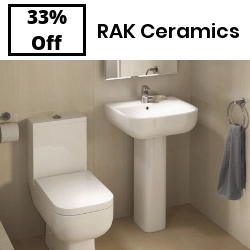 Customers providing us measurements in the showroom must ensure the quantities suggested are correct, Tiles Ahead accept no responsibility for overs or shortages once the order has been confirmed. a) Delivery estimations are made in good faith and if requested to despatch goods on a given date we shall use our best endeavours to do so but time shall be the essence of the contract and such date shall be intended as an estimate only. b) Payment for any outstanding balances should be made available to the delivery driver before any goods are unloaded. Failure to provide a suitable payment method will result in cancellation of that delivery date. A new delivery date will need to be arranged and this will be chargeable. c) To enable us to offer a competitive delivery service, Tiles Ahead vans are manned by the driver alone, please ensure that suitable assistance is available to off-load heavy or bulky goods. d) Whilst we make every effort to keep to stated delivery times, we cannot be held liable for any losses or costs incurred as a result of a failure to meet estimated delivery dates and times. a) We shall not be liable for breakages unless a claim has been received within 48 hours of goods being received by the customer. b) We shall not be liable for shortages on delivery unless signified at the time of delivery or endorsed "unexamined”. c) We shall not be liable for defects arising from wear and tear, wilful damage or negligence, abnormal working conditions or misuse of the goods. a) It is the customers responsibility to ensure that floors and walls are adequately prepared prior to the arrival of fitters ie. Floor areas need to be cleared of carpets, vinyls, thermoplastic tiles etc, and steps should be taken to ensure that any free-standing appliances or units are removed before fixing. Doors should be checked for adequate clearance. Any wallpapers, timbers or panelling need to be removed from walls prior to arrival of fitters and areas made good to allow us to fix to good, sound surfaces. b) We reserve the right to apply a flat charge of £150.00 per day for any postponement of pre-booked work not advised 48 hours in advance. c) We will not be responsible for the disposal of any waste material generated during installation and advise customers to research suitable, cost effective means of disposing of same. incorrect siting or installation of any products. 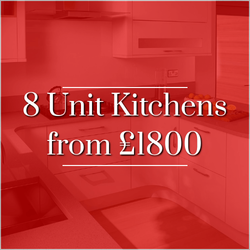 Any final decision regarding installation should be made by a suitably qualified professional. Unless otherwise agreed, all goods must be paid for in full prior to being despatched. Alternatively, where a customer has submitted an application to the company for account or credit purchase and this has been agreed by the company, a statement will be despatched on a monthly basis. Invoices will be raised after delivery of the goods or each installment of the goods and are due for payment no later than the last working day of the month following the date of invoice. The account is subject to a limit advised at the outset to the customer. If the customer fails to make a payment on the due date then without prejudice to any other right or remedy available to the company shall be entitled to cancel any subsiding supply contract with or suspend any further deliveries to or collection by the customer. The company also reserve the right to charge the customer interest on the amount unpaid at the rate of 4% p.a. above Lloyds Bank base rate accruing daily until payment in full is made. Where an order is required which will cause the account to exceed the customer’s limit, this will require to be paid in cash prior to the order being processed. Any queries in relation to invoices must be raised within 10 days of receipt or otherwise full amount of the invoice will be payable. Where any payments are disallowed e.g. returned cheques, the customer will be liable for any bank charges and administration costs incurred. Any sums payable by the company to the customer on any account may at any time be offset by the company against any sums payable by the customer to the company. The company reserves the right at any time at its discretion to demand security for or vary the terms and method of payment before continuing production of or delivering goods in satisfaction of any order notwithstanding any subsisting agreement to provide credit to the customer. The risk in the goods supplied by the seller shall pass to the buyer on delivery to the place of delivery. by the seller to the buyer for which payment is then due. property of the buyer and third parties and, in the case of tangible proceeds, properly stored, protected and insured. Until such time as the property in the goods passes to the buyer (and provided the goods are still in existence and have not been resold) the seller shall be entitled at any time to require the buyer to deliver up the goods to the seller and, if the buyer fails to do so forthwith, to enter upon any premises of the buyer or any third party where the goods are stored and repossess the goods. The buyer shall be entitled to pledge or in any way charge by way of security for any indebtedness any of the goods which remain the property of the seller, but if the buyer do so all monies owing by the buyer to the seller shall (without any prejudice to any other right or remedy of the seller) forthwith become due and payable. If Tiles Ahead are requested to leave the tiles at the property by the buyer, responsibility is that of the buyer once offloaded by Tiles Ahead. Any purchase of goods from the site TilesAhead.co.uk requires the customer to consult and accept these terms and conditions. The click validating the order implies full acceptance of these terms and represents the customer's "digital signature". 1.1 These terms and conditions are intended to define the rights and obligations of the parties in the sale of goods proposed online by Tiles Ahead for the customer. 2.1 Under distance selling regulations, consumers (non-business customers) are entitled to request a full refund, including any delivery charges, within 7 days of receipt of goods. DSR requests must be sent by post to our address at Tiles Ahead, Unit 2A, Ty Coch Way, Cwmbran, South Wales, NP44 7HB. 3.1 All contractual information will be confirmed by email to the address specified by the customer during the purchasing act. 3.1 The records stored in Tiles Ahead's computer systems under reasonable safety conditions are considered proof of communications, orders and payments made between the parties. 3.2 Purchase orders and invoices are stored on a reliable and durable system and can be produced as evidence. 5.1 Every effort has been made to ensure the accuracy of the information presented on tilesahead.co.uk. Tiles Ahead or its suppliers shall not be held liable for the consequences, accidents, or special damages arising from electronic transmissions or the accuracy of transmitted information, even in cases where Tiles Ahead was aware of the possibility of such damages. Manufacturer and brand names are only used for identification purposes. Product photos, descriptions and prices are non-contractual. 6.1 Our offers and prices are valid for the day the site is consulted and are subject to change without notice. 7.1 Products are delivered to the address specified by the customer on the purchase order and only to geographic zones that we service. 7.2 All products leave our premises in perfect condition. The customer must notify the carrier (or postman) of even the slightest trace of damage (holes, signs of crushing, etc.) to the parcel, and refuse the package if necessary. A new, identical product will then be sent to the customer at no additional charge. 7.3 No exchanges can be made at a later time for goods claiming to be damaged during carriage without notification at the time of reception. 7.4 As with any shipment, a delay or loss of goods is possible. In such a case, the carrier shall start an investigation. Every effort is made, for as long as necessary, to find the package. If the package is not found, the carrier will reimburse Tiles Ahead, who will deliver a new, identical order to the customer free of charge. 7.5 We shall not be held responsible for delayed delivery times due to the carrier, including for the loss of goods, bad weather or strikes. 8.1 Tiles Ahead will not be responsible for damage or loss of goods or part thereof in transit or for any discrepancy between the goods delivered and the goods ordered unless the customer gives written or email notice of a claim to Tiles Ahead and the carrier within 3 business days of delivery. 8.2 In the event of damage of goods or part thereof in transit or for any discrepancy between the goods delivered and the goods ordered, the customer must hold the goods and make them available for inspection or collection by Tiles Ahead or its representatives on request. 9.1 The customer must inform Tiles Ahead immediately (the same day or, at the latest, the first business day following delivery) concerning any claim of delivery error or non-conformity of goods, in kind or in quality, compared with the information on the purchase order. 9.2 Any claim made after this time period will be rejected. 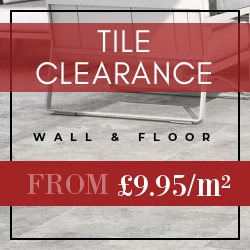 9.3 All claims must be made in email or writing and sent to sales@tilesahead.co.uk or Tiles Ahead, Unit 2A, Ty Coch Way, Cwmbran, South Wales NP44 7HB. 9.4 Any claim that does not respect the rules defined above cannot be taken into account and releases Tiles Ahead of any responsibility to the customer. 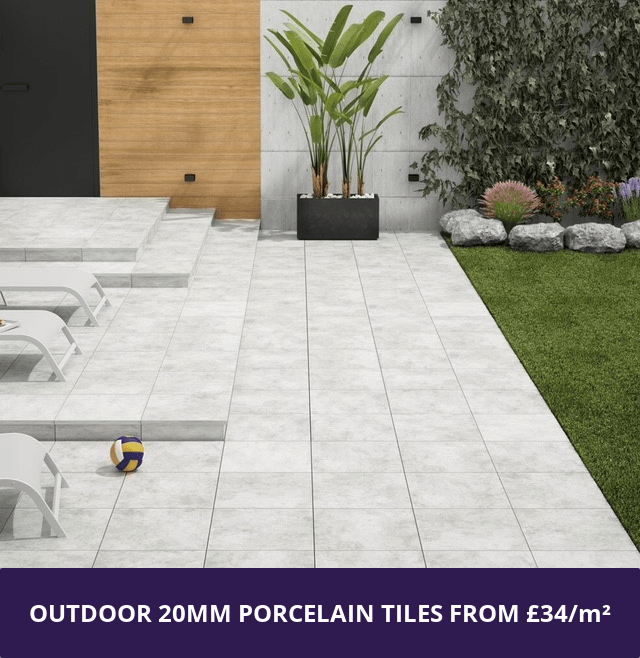 9.5 In the case of delivery error or exchange, all goods to be exchanged or refunded must be returned to Tiles Ahead in whole, in its original packaging and in perfect condition to Tiles Ahead, Unit 2A, Ty Coch Way, Cwmbran, South Wales, NP44 7HB. 9.6 For claims to be accepted, the customer must first make a declaration to Tiles Ahead concerning any returns and receive and Tiles Ahead's consent. 8.7 If accepted, the customer will ship the package to Tiles Ahead, Unit 2A, Ty Coch Way, Cwmbran, South Wales, NP44 7HB. 9.7 Shipping fees shall be at Tiles Ahead's expense, except in the case where the goods do not correspond to the original declaration made by the customer concerning the return. 10.1 The provisions hereof cannot deprive the customer of their right to legal warranty requiring Tiles Ahead to protect the customer against latent defects of goods sold. 10.2 The customer is expressly informed that Tiles Ahead is not the manufacturer of the goods presented in tilesahead.co.uk and that Tiles Ahead shall not be held liable for defective goods. 10.3 In the case of damage to a person or property resulting from a product defect, only the product manufacturer shall be held liable and sought after by the customer, by means of the information provided on the packaging of said product. 10.4 All products sold on tilesahead.co.uk are under a 1 year warranty. 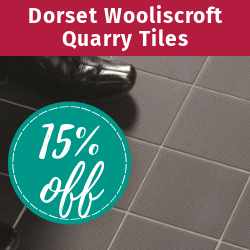 All products that have been modified or repaired by the customer or any other party not chosen by Tiles Ahead are not covered by this warranty. 10.5 The warranty can be extended according to the terms provided in store and on the website. 11.1 In accordance with the Distance Selling Regulations 2000, the customer has the right to a cooling off period of 7 business days, starting at the time goods are received, to cancel the contract and return said goods at their own expense, without having to give a reason. All returns can be indicated beforehand with Tiles Ahead customer service department. All goods must be returned to Tiles Ahead, Unit 2A, Ty Coch Way, Cwmbran, South Wales, NP44 7HB. 11.2 The cooling off period and right to cancel do not apply to contracts, orders for any goods made to your specification, any downloaded goods or unsealed goods. 11.3 Only complete and unused goods in perfect condition for resale will be accepted. No refunds or exchanges will be made for incomplete, damaged or unsealed goods, including damage to original packaging. 11.4 The customer can exercise this right to withdrawal without penalty, excepting the return fee for the goods. If the customer exercises the right to withdrawal, they have the option of requesting a full refund or exchange of goods. If an exchange is requested, all shipping expenses shall be the responsibility of the customer. 11.5 If the right to withdrawal is exercised, Tiles Ahead will make every effort to refund the customer within 30 days. 12.1 The use of any trademarks, logos or brands present on the site is strictly forbidden. 13.1 Neither party will be deemed to be in breach of any of its obligations under the agreement as a result of any delay in performing or any failure to perform any such obligations by reason of any cause or event beyond the parties' control. A force majeure event includes, but is not limited to, any unforeseeable, inevitable, or unstoppable act, event, non-happening, omission or accident beyond the control of either party, despite all reasonable efforts made to the contrary. In addition to events usually recognized by the British courts, a force majeure event includes in particular (without limitation) the following: Strike, lock-out, earthquake, fire, storm, flood, lightning, explosion, impossibility of the use of public or private telecommunications networks. 13.2 In such circumstances, the party delayed or unable to perform ("Delayed Party") shall notify the other party ("Affected Party") within 10 business days following the date such events become known. 14.1 These terms and conditions remain valid and in force, even if one or more clauses are invalid or declared so under any law, regulation or following the final decision of a competent court. 15.1 No failure of either party to exercise any power given to it in these terms and conditions or to insist upon strict compliance by the other party with its obligations hereunder shall constitute a waiver of either party's right to demand exact compliance with the terms hereof. 16.1 All personal data you provide us is used to process your orders. This data will be treated in accordance with the Data Protection principles outlined in the Data Protection Act 1998. 17.1 In form and content, these Terms and Conditions shall be governed by and construed in accordance with English law. 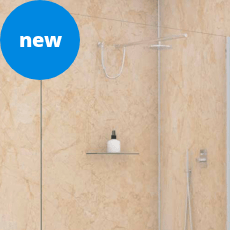 All orders placed on tilesahead.co.uk strictly imply the acceptance of Tiles Ahead's terms and conditions. 17.2 In case of dispute or claim, the customer agrees to seek an amicable solution with Tiles Ahead before proceeding with any legal action. In the event where such a solution cannot be found, any disputes concerning the sale (price, Terms and Conditions, products, etc.) will be subject to the exclusive jurisdiction of the English courts.